Scotland - TravelPUNK Backpacker College Student Budget Travel Message Boards! So I'm leaving in 22 days for my first trip, and don't have a clue what i need to take and know nothing about the country. So if anyone knows anything, a little help would be great! the first question would be.... what country are you going to? Scotland is one of my all-time favorite trips I've taken. I spent 5 weeks there (waaay back in 1985, so all my info is almost two decades old) one summer. 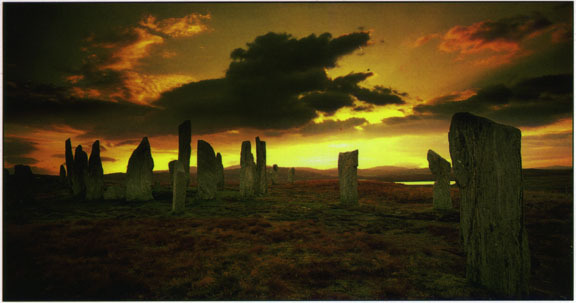 Scotland has stunning scenery, lots of historical sights and friendly people. My favorite parts were the Highlands and Islands, particularly the Hebrides. My personal favorite was Mull, followed closely by Skye. Check out my website, below, and read through my somewhat abbreviated travelogue (written long after the fact, otherwise who knows how long I'd have made it!). Feel free to ask me any questions. 1. It rains a LOT up there, so make sure you start putting layer upon layer of waterproofing on your boots...now! Also, it'll likely be fairly cold in February, so dress warm. This includes packing WOOL sweaters (keep you warm even when wet) and wool socks. 2. Being part of Britian, it will have fairly good local transport. You should be able to buy a booklet (at the newsstands?) which details all the bus routes, times they stop on which days and so on. Take advantage of it and get one rigth away, as missing the last bus somewhere could be an inconvenience. 4. If you think you might stay in youth hostels, join the AYH now. If you're not into them, then buy a guide to B&Bs in Scotland. I stayed in hostels the first part of the trip, gradually switching over to B&Bs by the end. As a matter of fact, this trip was kind of the official demarcation line of my youth hostel days, I feel. Nothing wrong with them, I'd just felt like I'd outgrown them, and preferred to have my own room. Feel free to dash off any questions, Solo, Scotland is a favorite topic of mine...! Wow 22 days... I bet the adrenaline is starting to flow like water. Yeah i bin to scotland loads, orkneys gud (go to the highland park brewry ) shetland's great for sailin, but i mostly bin cruisin scotland when i was a kid, if u ever at isle of whithorn (rong spellin i think) have a steak at the Steam packet. mmmmmm I dont eat meat but a steak and a brew sure sounds good . aaaaah scotland....I love that country and could talk about it for hours. wwm and moi have something in common. First off wwm is right about the rain. I was there in June/july and I was still cold! I actually had to go and buy a fleece jacket. i found that it was so windy everywhere I went. I would also recommend that you buy some good footwear. There are tons of beautiful hikes that you can do on your own and plain ol' running shoes aren't sufficient enough. Trust me I know. My poor runners were constantly soggy wet from those muddy hikes. My fav parts were the highlands as well (WWM wow we share so much in common!! ) I fell in love with the Isle of Skye. Such a beauty of an island. With castles, fairy glens and most of all great pubs. All the islands have ferry service (i think the co. is called caledion mcbrae..oh i totally butchered that spelling) and you can get a pass which allows unlimited travel thru x amount of days. Though isle of skye is now connected to the mainland by a toll bridge. i also really liked glasgow. Such a cool city and had more character to it i found. I thought that edinburgh was overrun with tourists, though in feb. you probably won;'t have that kind of problem. Your going to have a blast though. It's such a wonderful country with a huge amount of history. As much as it was fun drinking it the pubs and such I also learned a lot and found that being in scotland was very educational. So many bloody battles etc..It's better to learn that way than to spend hours in a classroom right! I went around scotland (as did voyd I believe) with a company called macbackpackers. I would highly recommend them. They offer tours as well as hop on hop off service (which i did). All the guides are scottish and passionate about teaching their culture to others. check them out. anyhoo cheers and have a blast. scotland, a great place, best country in the world- can you tell im scottish? ?you can do anything and everything in scotland, depends on your mood! !if your into big places go to edinburger(im not a fan of the place, rich in history but full of tourists and non-scots) or glasgow which has the greatest pubs in the world haha!nah, seriously its a great craic, everybody will welcome you.! !anyhoo i gotta head but email me through my profile if you need to know anything about the place!! I was drunk when i wrote that! Now, I have no idea how big or where that is, but it certainly looks cool!